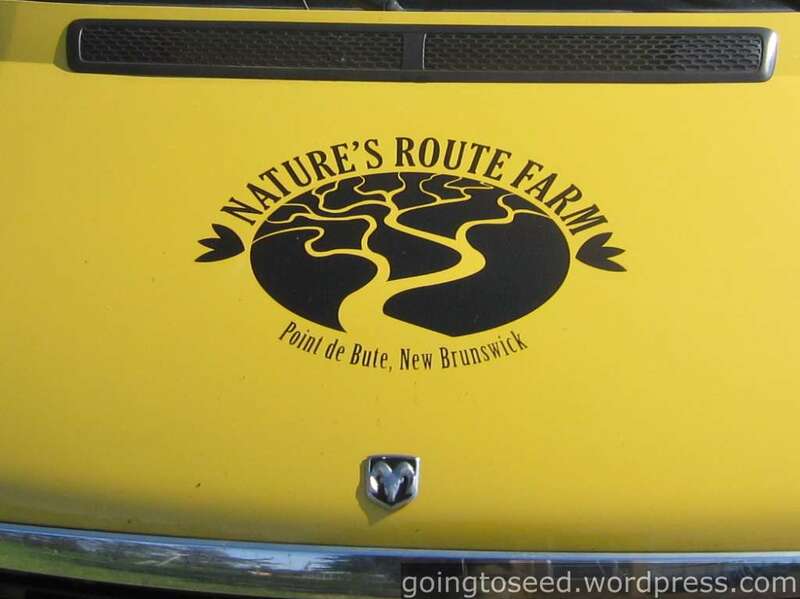 On the second phase of our honeymoon/agricultural road trip we left Rimouski and drove down the Acadian Shore to border of New Brunswick and Nova Scotia. 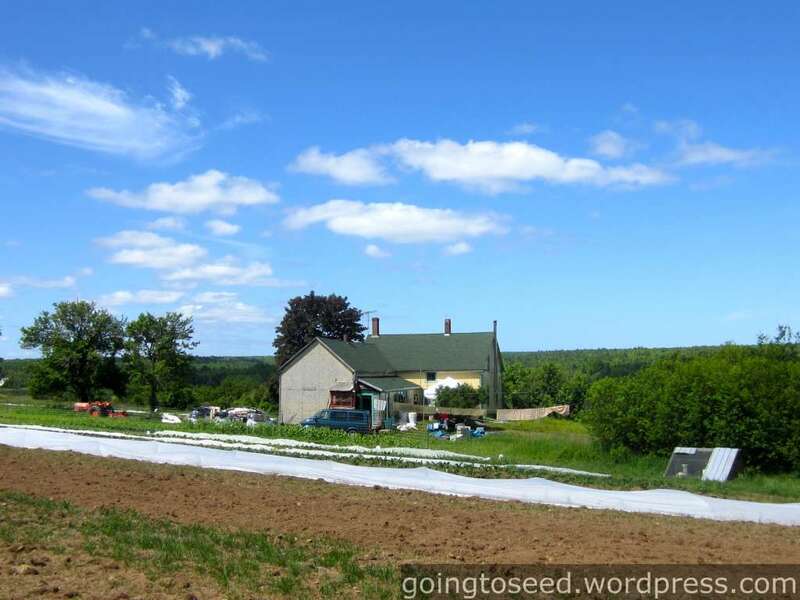 We visited three farms in the Sackville – Tatamagouche axis. 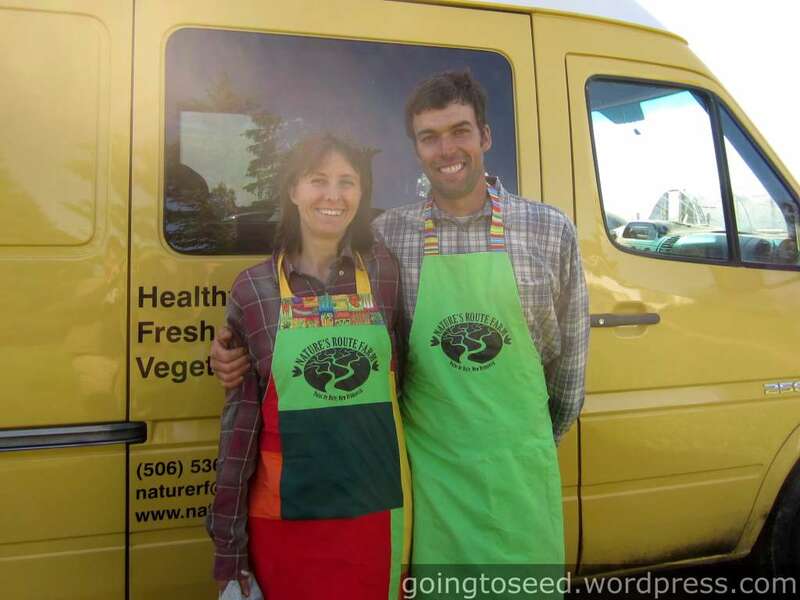 Ruth and Kent Coates run Nature’s Route Farm in Point de Bute, NB (just East of Sackville, NB). 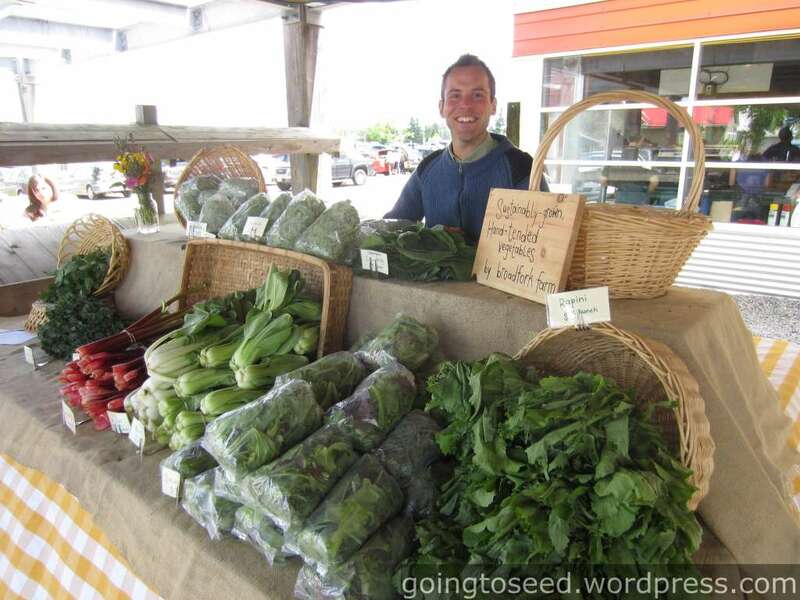 They run a CSA and market garden, and also raise lamb. 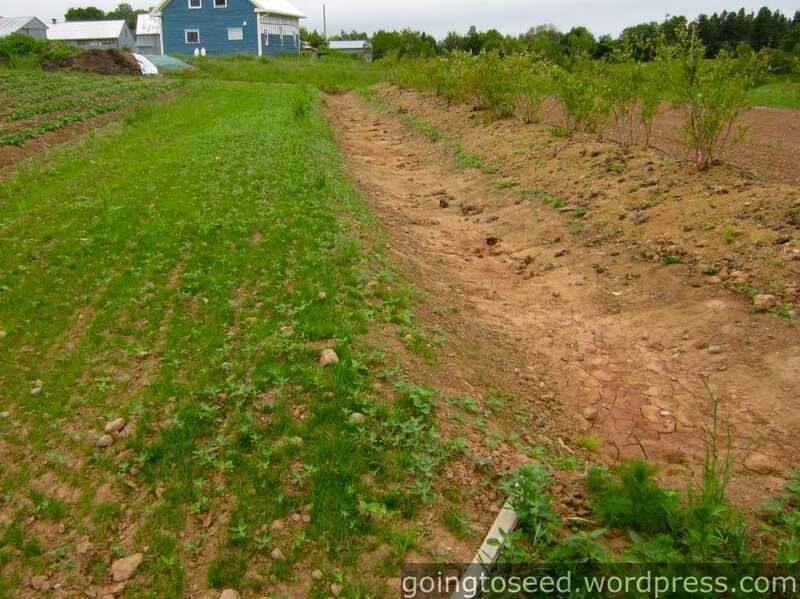 Ruth and Kent’s sloping somewhat rocky fields are laid out with three ridges per bed. 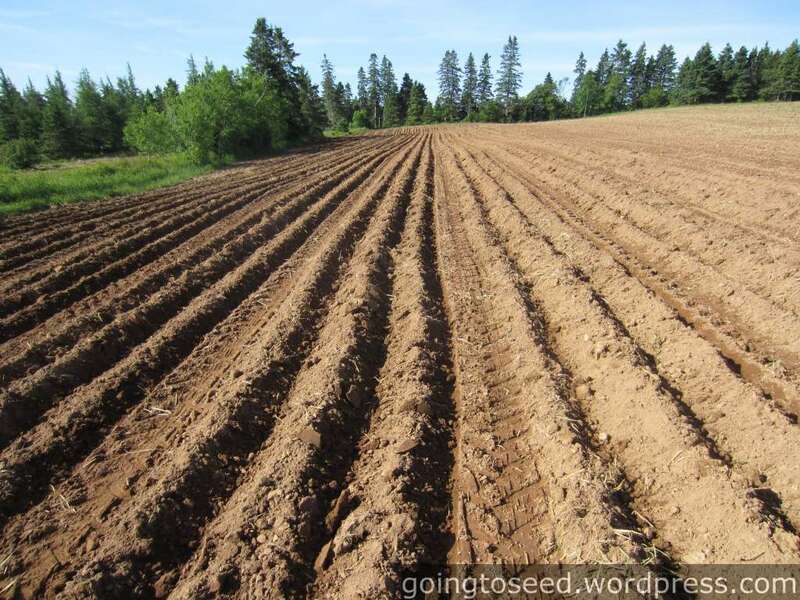 Rocks get buried when the ridges are formed leaving an area much easier to plant and weed. 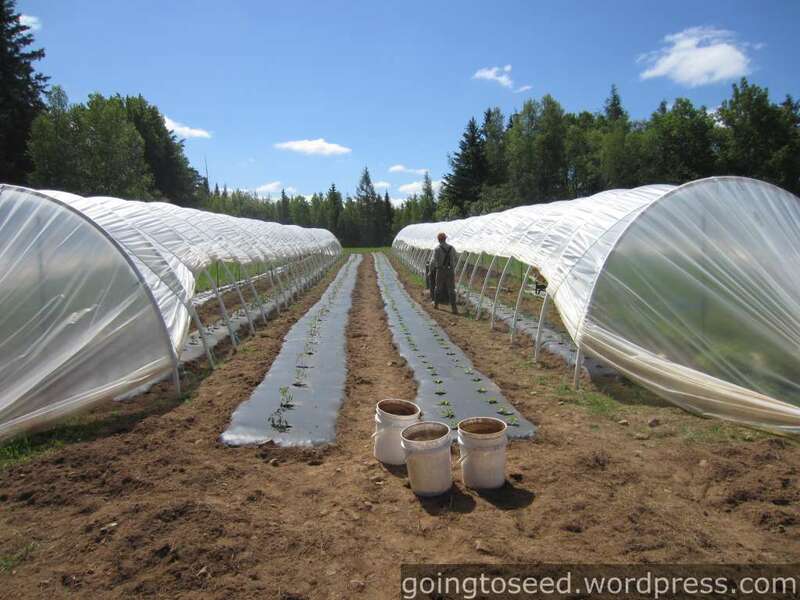 For larger crops, only the two outside ridges are planted in each bed. 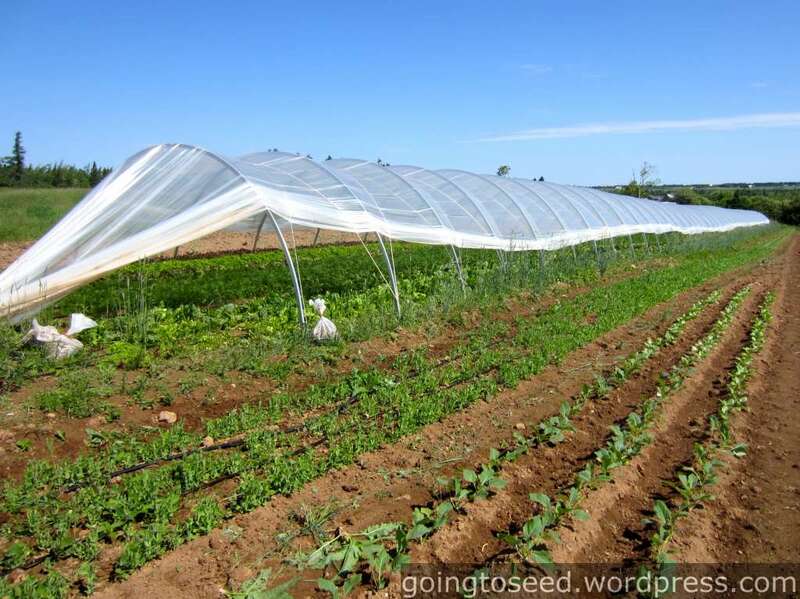 I was really intrigued to see the different season extension structures on different farm. 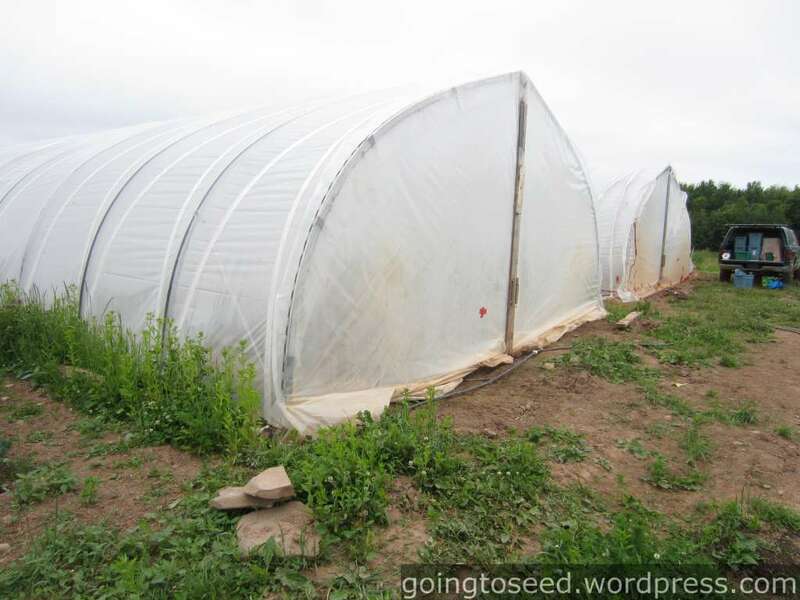 These tunnels are very similar to our Caterpillar Tunnels but with some noticeable differences. I plan on posting soon about these different tunnels we saw. 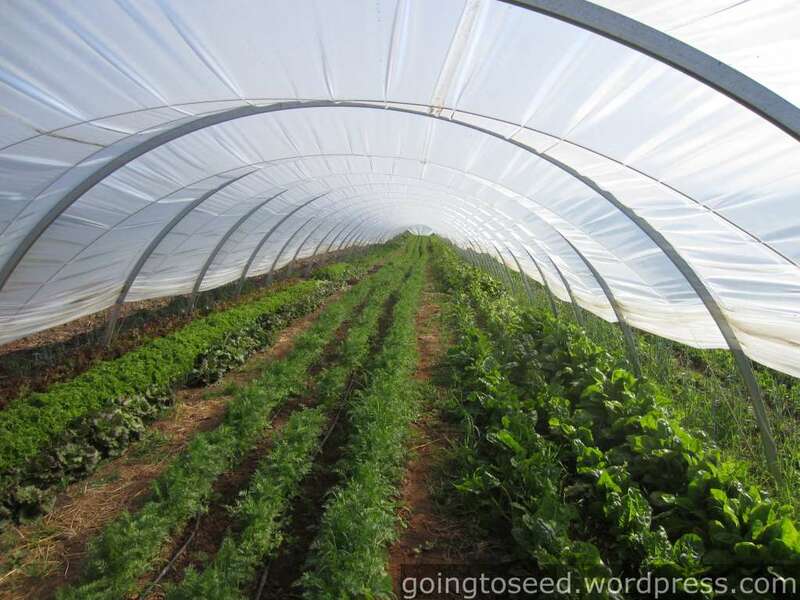 Ruth and Kent had carrots, beets, turnips, and greens growing under these tunnels. 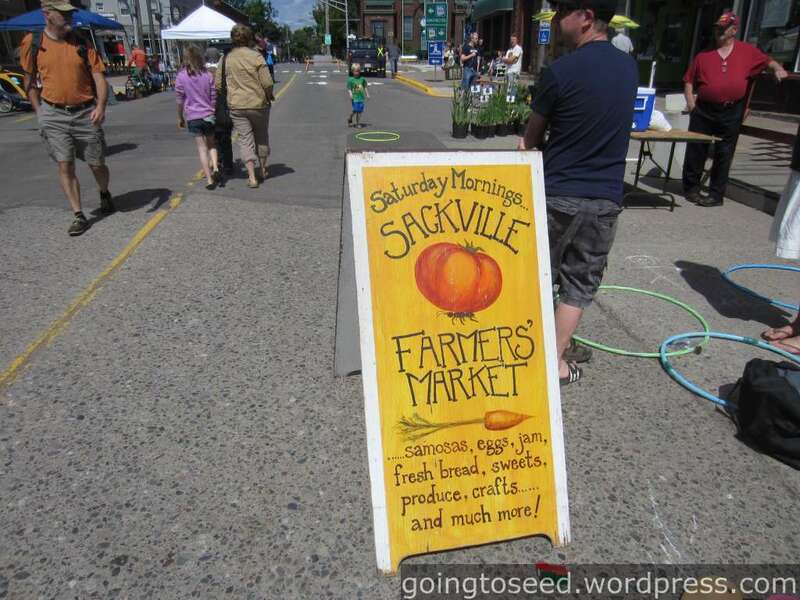 We later went by the Sackville farmers market and caught Kent at his stall. 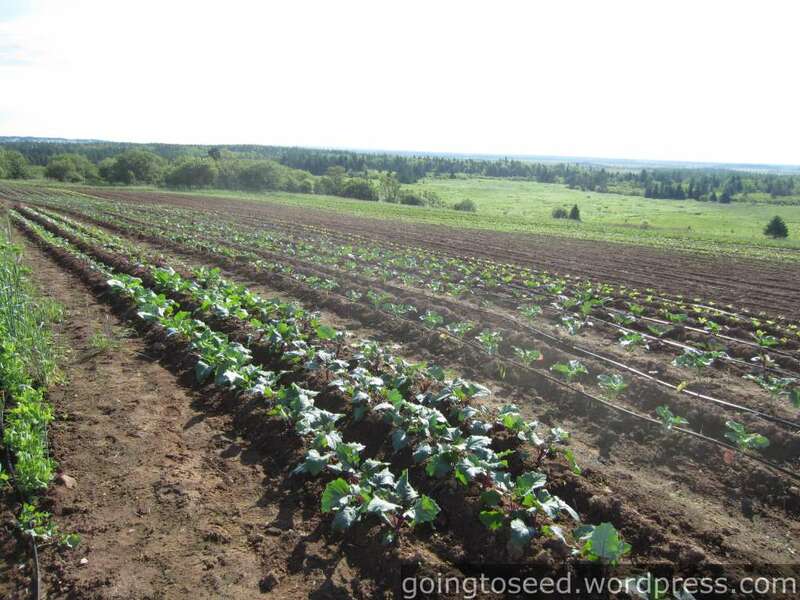 Next up (after a few days in PEI with friends and no farm visits!) 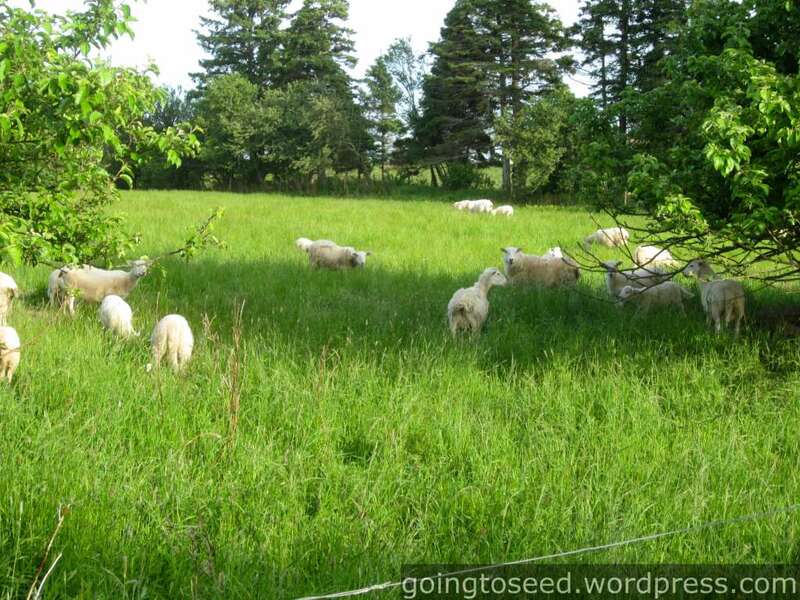 we took the ferry back to Nova Scotia and visited Cammie Harbottle at Waldegrave Farm in Tatamagouche, Nova Scotia. We’ve been wanting to visit Waldegrave for a awhile. 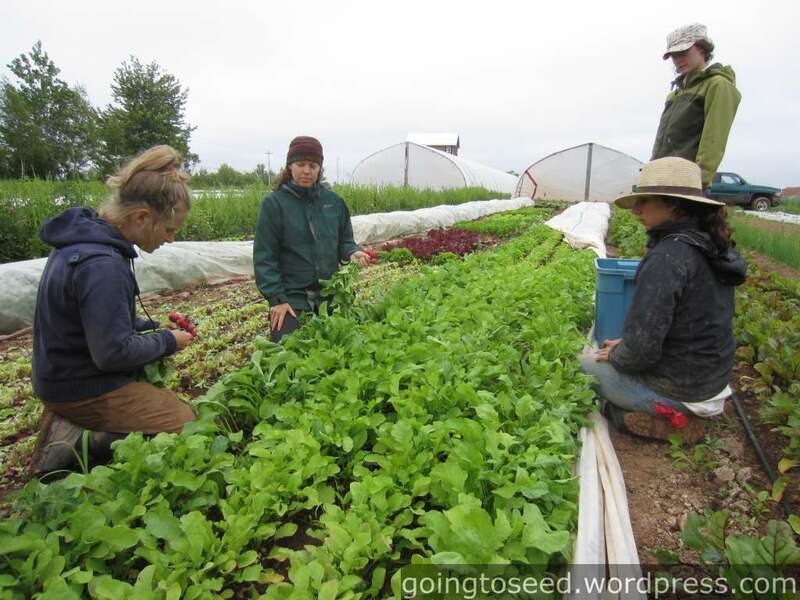 In part because we’d been hearing rave reviews about Cammie’s veggies at the Halifax market but also because the farm is on the Tatamagouche Community Land Trust. 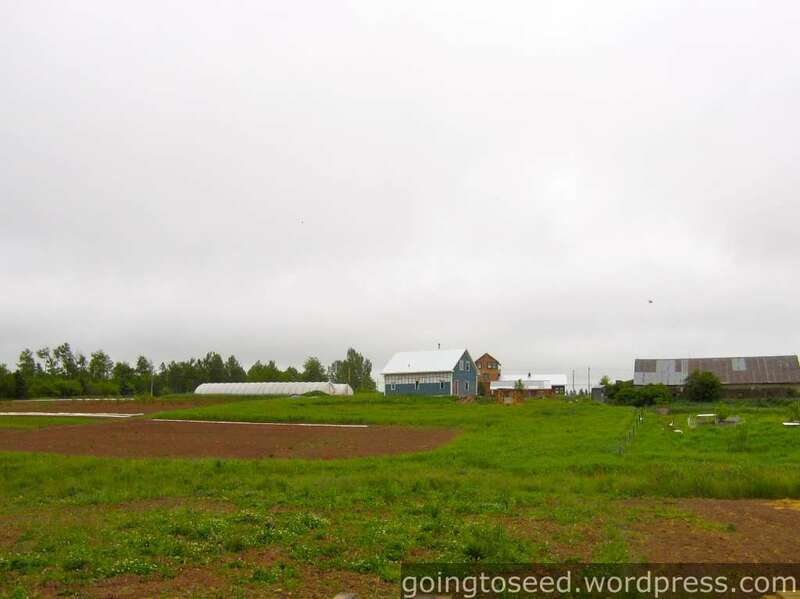 The Tatamagouche Community Land Trust is a 100 acre farm that was originally bought by a group of friends. 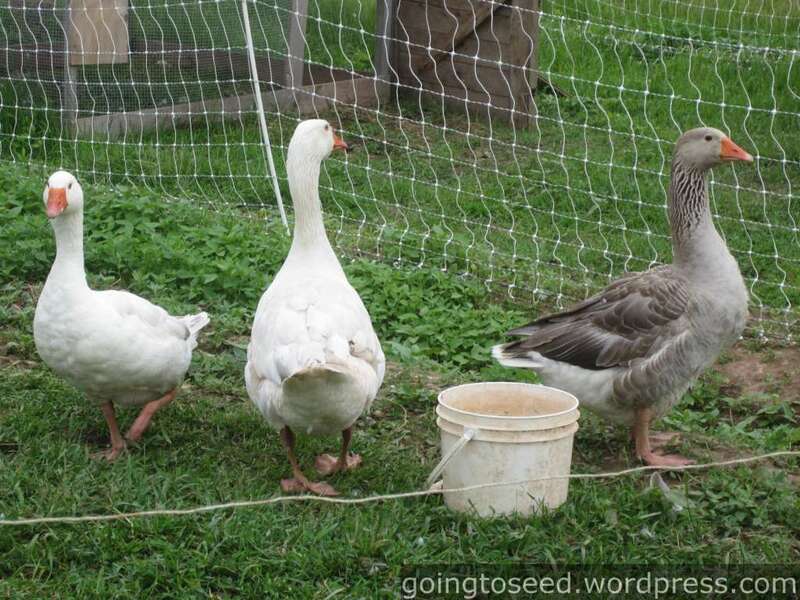 (You can read a bit more on a 2010 seekingfarmland blog post.) 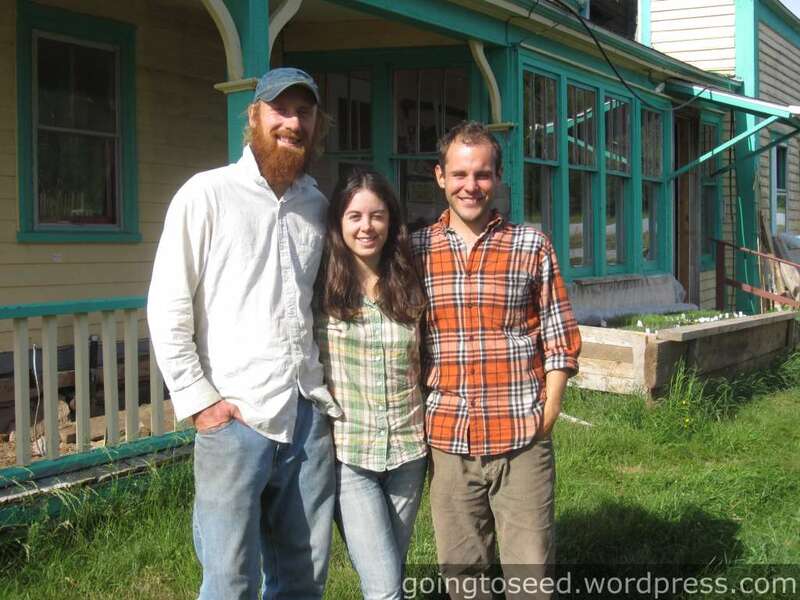 Every year they also host the Tatamagouche Free School in August. Some of Cammie’s recent surface drainage work – a swale bordered on the left by a newly seeded grass pathway and on the right by blueberries. Cammie has had to deal with a few very wet years. In addition to this surface drainage she’s also installed subsurface tile drains. 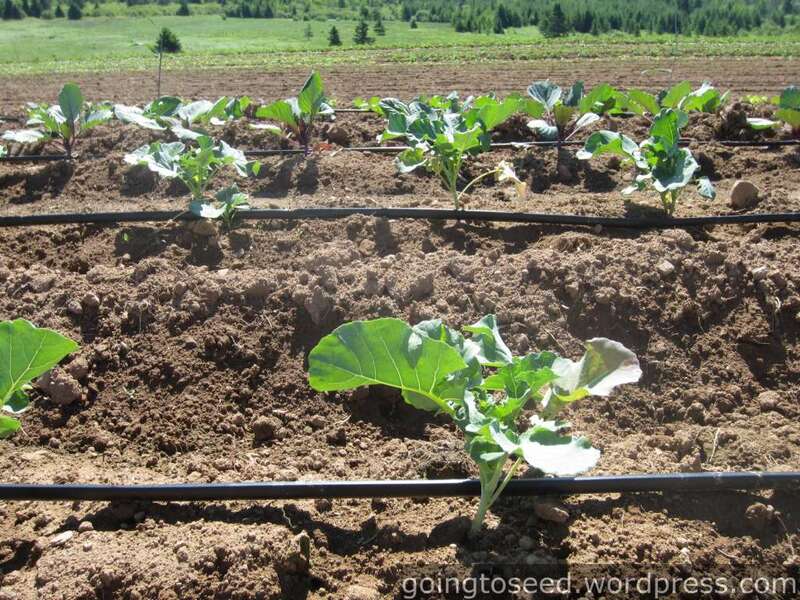 Of course, after all this drainage work, Cammie then had a very dry spring and was worried about irrigation when we visited. 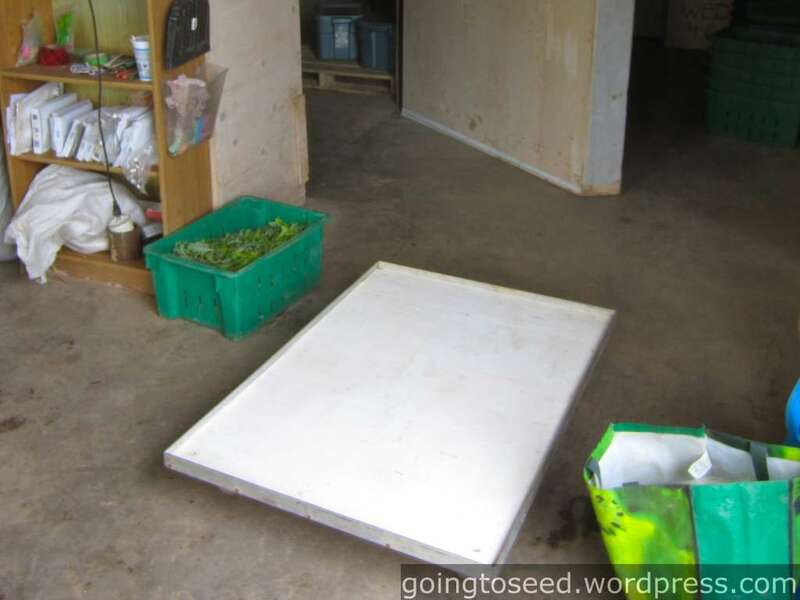 There is quite a bit of covered growing space at Waldegrave Farm. 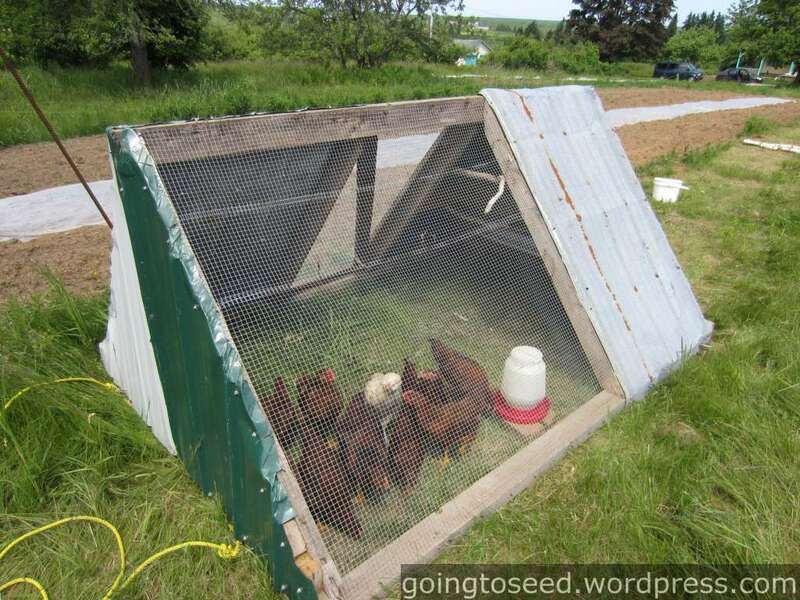 These moveable greenhouses are inspired by Wild Flight Farm where Cammie previously worked. Em and I helped with part of the market harvest. Cammie showed what she wanted in a radish bunch as Em, Hillary, and Pal watched. I was pretty excited about these dollies in Cammie’s wash station. Basically a piece of plywood on 4 caster wheels (2 rigid and 2 swivel). Also inspired by Wild Flight Farm. These dollies fit 4 bins per layer. They easily roll into the cold room. 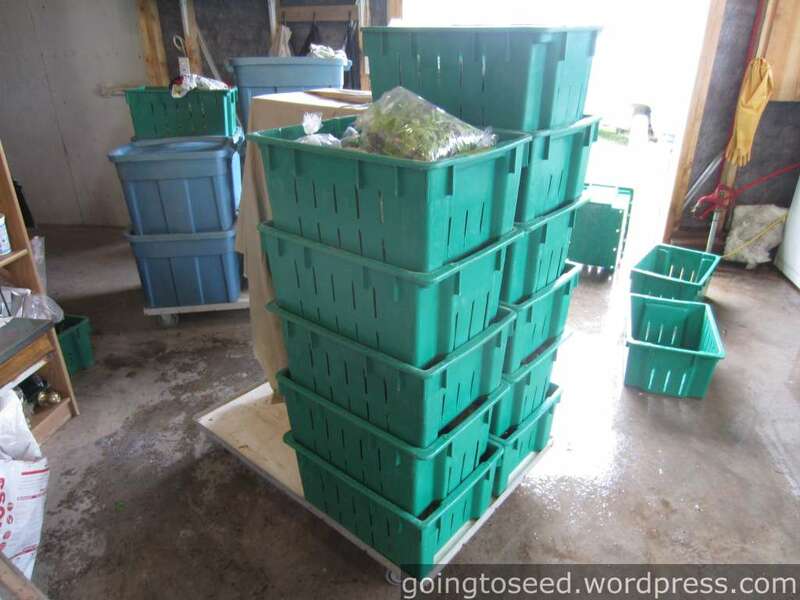 (Em and I also really like these green harvest bins. From Tatamagouche we headed back up towards the New Brunswick border and stopped in River Hebert, Nova Scotia (just west of Amherst, NS and south of Sackville, NB). 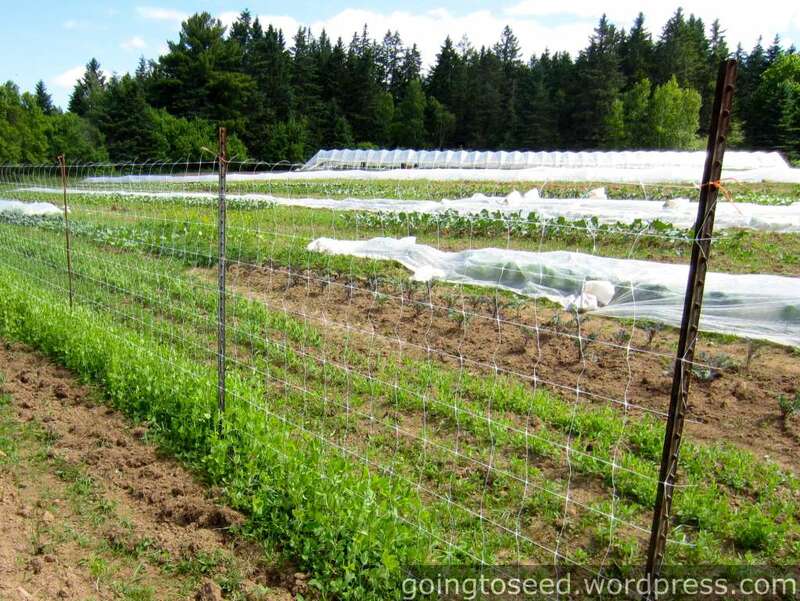 Though the first year on this site, the fields were full of healthy plants. And Caterpillar tunnels. Xander and I spoke quite a bit about the variations from the Tourne-Sol model. 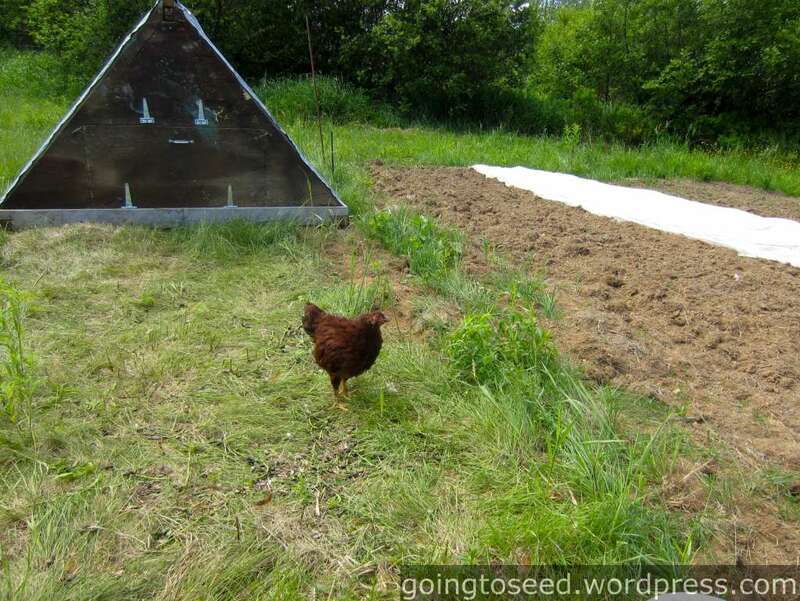 .. though sometimes a hen just needs to stretch her legs. We caught the Broadfork stall at the Dieppe farmers market.